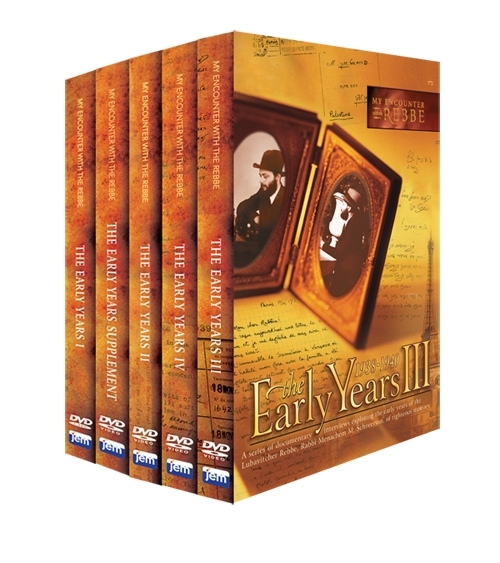 The Early Years film series, has broken new ground by exploring in unprecedented depth the early lifetime of the Rebbe, Rabbi Menachem M. Schneerson, of righteous memory. From his birth in Nikolaev, Ukraine and his childhood in Dnepropetrovsk, through his marriage to the daughter of the Sixth Lubavitcher Rebbe; his Torah studies in Berlin and Paris and his university studies there, The Early Years volumes one through four have shed light on a fascinating life through testimony and documentary evidence. The films cover the Rebbe’s life from his birth in 1902 until he came to the shores of the US in June of 1941.